Make it Pop! Roy Lichtenstein's "Masterpiece"
The wait is over! We are pleased to announce that we have custom frames available for everyone's favorite Ork Chicago Neighborhood Poster! 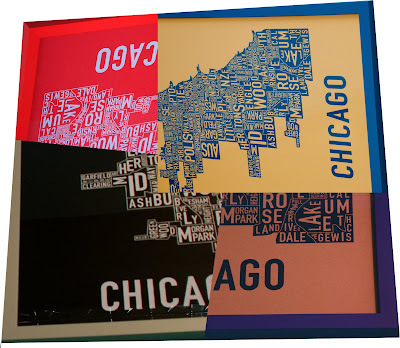 Grab an unmatted poster in a coordinating frame for $85 and display your Chicago love proudly on your wall. Framed and unframed posters are available at all three locations. If you have some other creative idea in mind for your poster talk to the fine folks at Foursided for other unique framing options!